The 8800 Series Level Gauge features 90° connections for ease of installation. 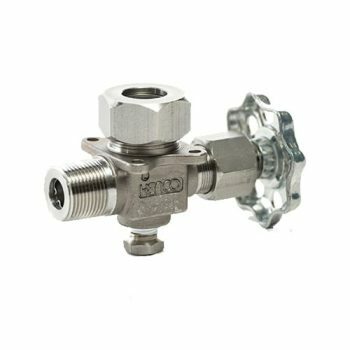 The Gauge is fitted with inline 1/4″ FNPT vent and drain connections. Because the vent and drain connections are inline, glass cleaning is easy. The centerline dimensional tolerance is 1/16″. This assures that the gauge will fit the mounting connection of the tank. 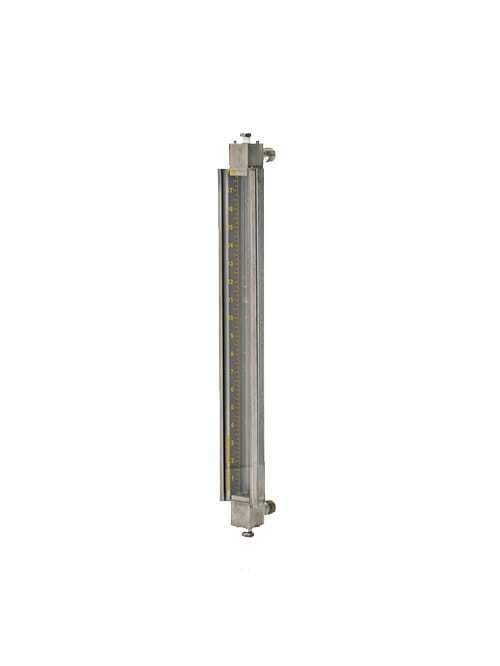 The sight tube of the 8800 Series Level Gauge is totally protected. 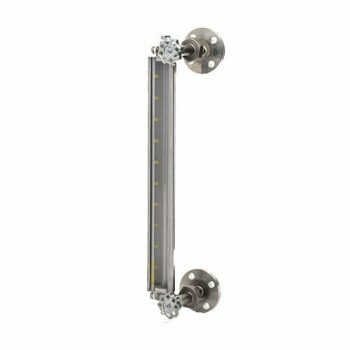 Three sides of the gauge are enclosed with a metal frame, while the face of the gauge is protected with a polycarbonate shield. This shield can be custom calibrated to read tank volume or any other calibration. Refer to the Product Specifications tab to see the assortment of standard shield options. 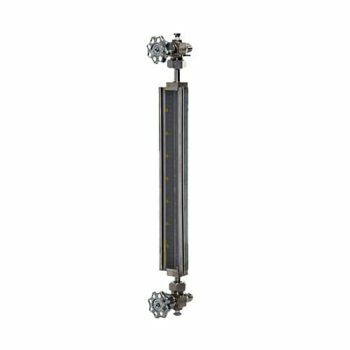 This is a critical dimension to determine the length of the gauge. 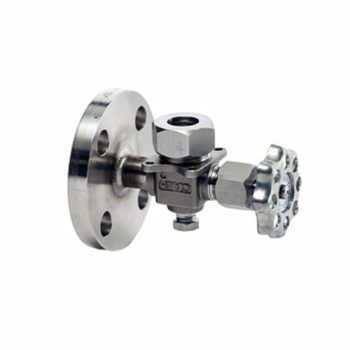 For low to medium pressure applications up to 500 psig, including oil or fuel storage tanks, cooling tower water tanks, and boiler feedwater tanks.